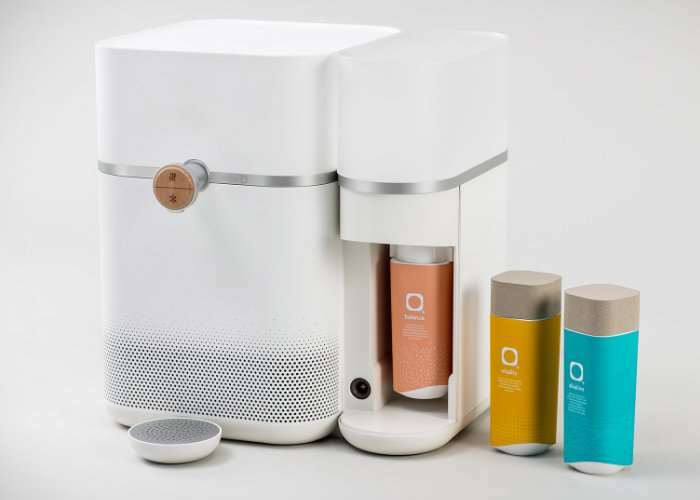 Berlin-based company Mitte has created a new water purification system that offers a number of advantages over water delivery options. Mitte Is capable of distillation and purification and its developers say offers water that is 60 times cleaner than that from a pitcher. Watch the demonstration video below to learn more about Mitte and how it can replace bottled water, by creating personalised refreshing drinks with added minerals. Mitte is now available to back via Kickstarter from €199 with shipping expected to take place during April 2018. The development team behind the Mitte home water purification system explain more about its inspiration and design. Mitte is the first of its kind smart home water system that purifies and enhances water through a process inspired by the natural water cycle. It works in two simple steps: first, it purifies water to an unprecedented level with a proprietary distillation-based method. Then, Mitte makes the water not only pure, but also healthy by enhancing it with essential minerals. Our replaceable patent-pending mineral cartridges come in three varieties, creating waters with different mineral properties, just like bottled mineral waters. Now you can personalize your water to suit your lifestyle and taste. Whether you prefer a clean balanced everyday water, a sophisticated high mineral hit, or high PH water for detox and fitness. There’s a Mitte to suit every need. For a full list of all available pledges and full specifications jump over to the official Kickstarter campaign page by following the link below.